Following the valentine tags, MochaMochi requested us to design a series of regular tags. 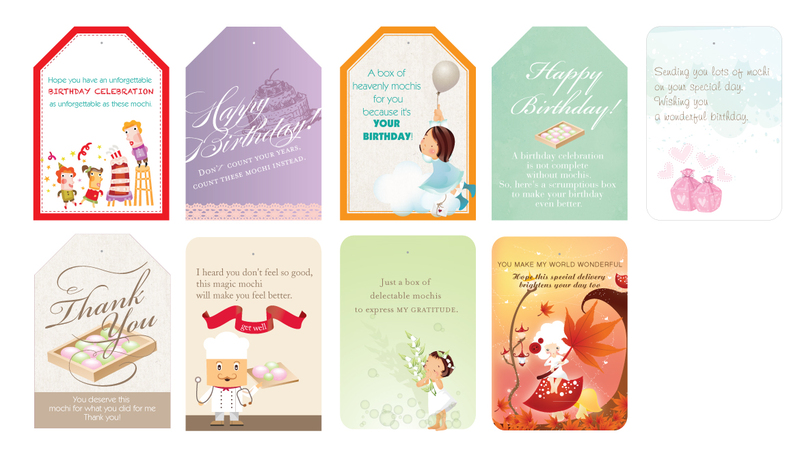 We have created 9 designs with custom themed taglines (Birthday, Thank You, Get Well). For your own custom tags for your business, contact us today!